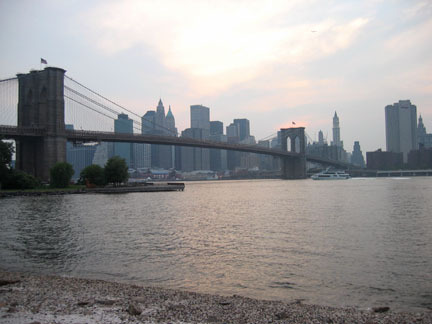 My new apartment is on the edge of Brooklyn Heights, right next to DUMBO. 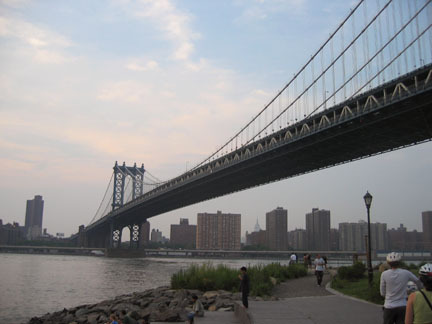 DUMBO stands for “Down under the Manhattan Bridge overpass.” The neighborhood is literally underneath the Manhattan Bridge. 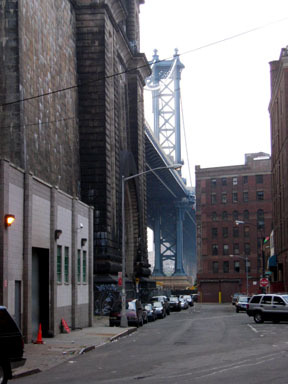 Yesterday, I showed a bunch of friends the new place, and then we walked around DUMBO. We ate dinner and had a couple of beers at Superfine, a really great restaurant. After that, we walked around a little bit. It’s quite a beautiful neighborhood.